Huh. I finally went to see the invasions, thinking that I could maybe use them to level another character up, as it was said that doing Rifts Invasions was a good way to do so. I used my level 12 (Feral) Druid to visit my first one. Invasions are basically Rift’s Rifts. Open grouping, open tagging, stages of completion. 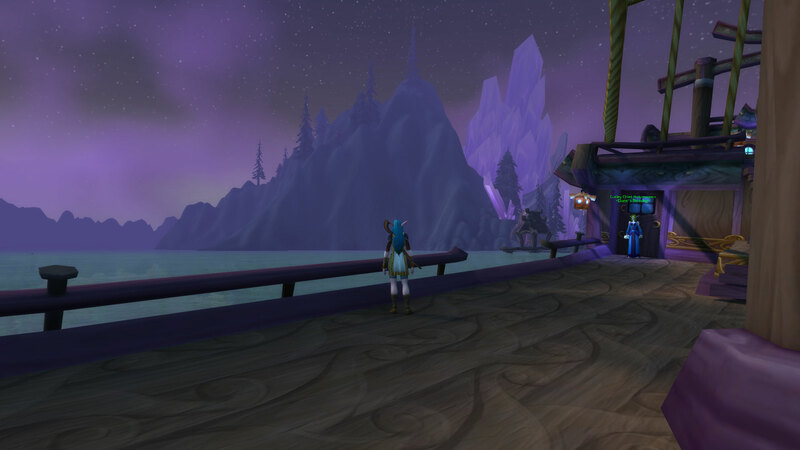 I mean, it’s nice to see World of Warcraft stepping into this decade- and I don’t mean that in a bad way; it speaks for the game’s engine that it is so versatile. I don’t know if it’s a good way to level- I gained one level from one Invasion. I guess at level 12 it doesn’t make a lot of a difference to simply questing or going into a dungeon. Maybe it’ll change later on. If I was level 25 and gained one level by one Invasion, it’d be nice. It took a bit of traveling and I hopped on the wrong boat once. The key-takeaway for me is that i don’t like the Druid right now. It feels as if its four specs are actually narrowing the options to play a Druid. Scaling the content to your level, though? Stroke of genius, but that warrants an own post.